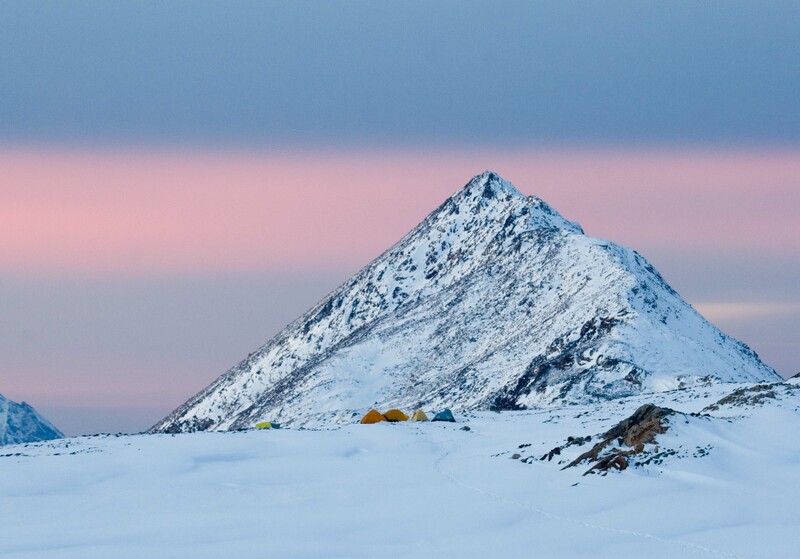 Greenland, Warming Island, off coast of Liverpool Land, Camp And Middle Finger Pyramid, 2006 - The pyramid in this finger is the high point of the middle finger of Warming Island. Our camp is shown below in mulitcolored tents. This photo was taken looking north at sunset.